Expanding beyond the space that it had been successful in for 35 years required new products, clearly, but identifying new customers presented a huge challenge. Certainly, Phenix planned to participate in the existing sales channels by working through commercial truck and van dealers and leasing companies. 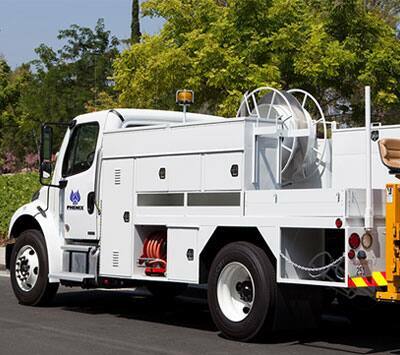 Connecting directly with small and medium size fleets in Southern California to tell the Phenix story, however, would increase its growth opportunities exponentially. But how would Phenix find those customers? Initially focusing on their van product line, Phenix decided to target small to mid-size fleets. Phenix asked IHS Markit to leverage its Polk registration database to identify companies within specific parameters. The data IHS Markit provided was more comprehensive than I expected. The quality of contacts has been remarkable. Of the 4,100 companies provided by IHS Markit that matched Phenix parameters, 90% were new contacts the company was not previously aware of or marketing to. The data was actionable and reasonable in price to obtain. IHS Markit provided a database of companies that contained fleets of three of more vans of which at least one was older than three years. This data provided Phenix with a playbook of white space opportunities for the sales team.